Acta Scientific Medical Sciences (ASMS) aims to promote communication among clinical researchers worldwide. 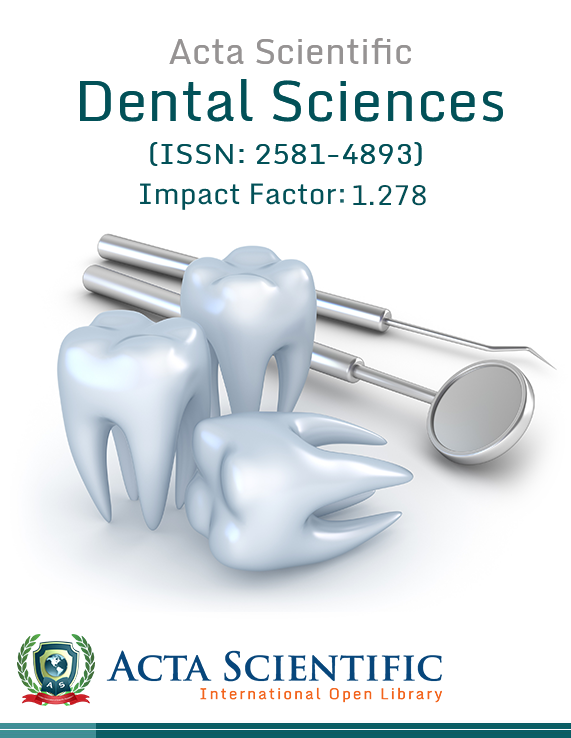 The journal aims to publish original work in all the areas of Medicine and Medical Sciences. 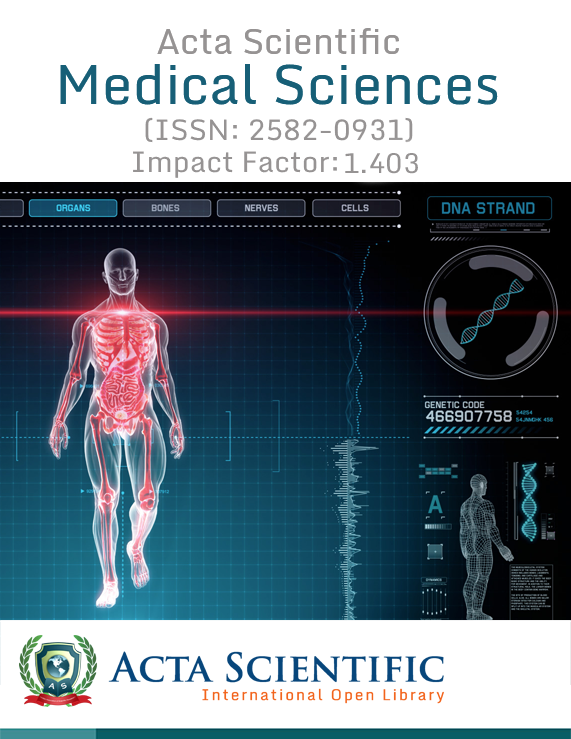 The journal aims to provide a platform for advances in research related to sciences of medicine. Our aim is to encourage scientists to publish their theoretical and experimental results to increase understanding of fundamental principles and biological questions of medicines. 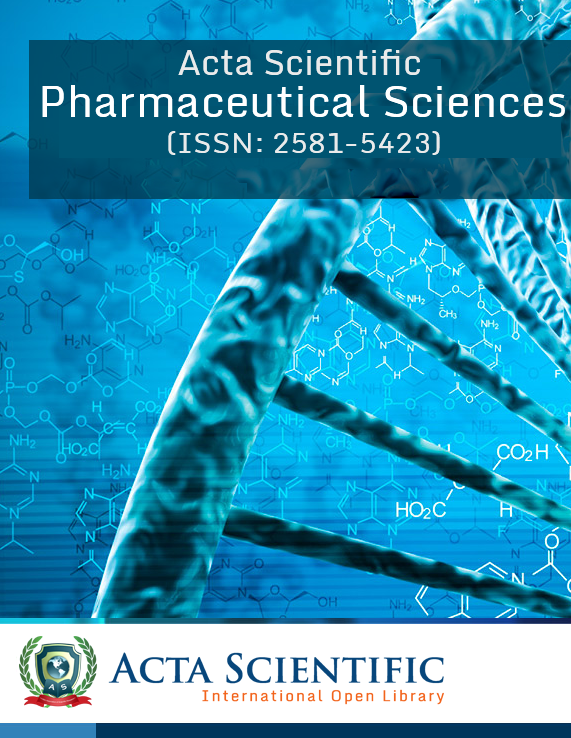 The journal publishes papers in the field of medical, clinical trials, pharmacy, pharmaceutical, biological, drug safety and medication, medication errors, prevention and management of adverse drug reaction and in all the disciplines of Medical Sciences. Internationally profound journal that Publishes articles on various disciplines of Medical Science. Medical Sciences covers a wide range of topics in the arena of Medicine that enables improved public health that is very essential for the welfare of society. The research areas covered by the journal include, but are not restricted to the following fields: Biochemistry, Molecular biology, Bioinformatics and systems biology, Genetics/ genomics, Pathology and physiology, Biostatistics, Epidemiology, Immunology and microbiology, Neuroscience, Pharmacology and pharmacogenomics, Toxicology, Pain and Anaesthesia, Bioengineering, Biomedical Sciences, Dermatology, Epidemiology and Public health, Health informatics, Health plan and Administration, Medicine and History of medicine, Otolaryngology, Neurological sciences, Occupation safety and health, Gynaecology and Obstetrics, Surgery, Pathology, Psychiatry, Ophthalmology Veterinary Science, Paediatrics, Chemistry, Cardiology, Cancer, Orthopaedics, Addiction, Forensic Sciences and Radiology and the journal readily accepts original articles on all the topics related to the frame of Medical Sciences. Edina Tanović, Aldijana Kadić, Dževad Vrabac, Đemil Omerović, Senad Selimović and Emina Tanović. Published: April 23, 2019; Volume 3 Issue 5: 138-142. 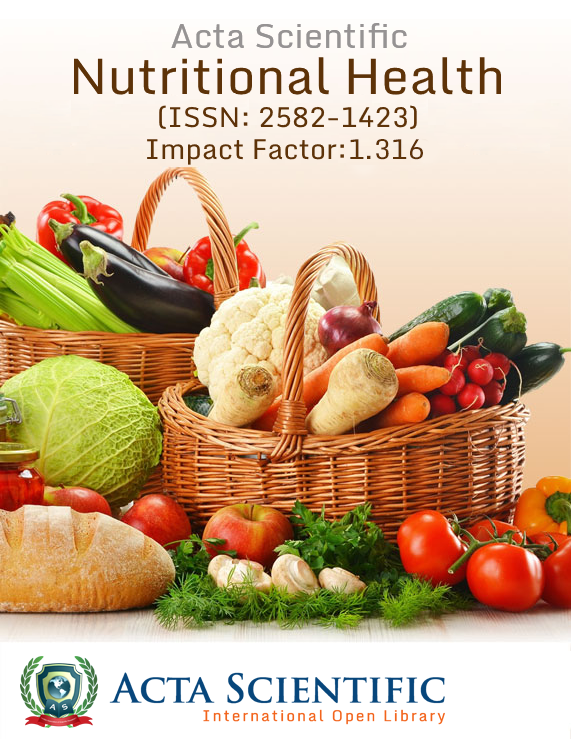 Published: April 23, 2019; Volume 3 Issue 5: 132-137. Published: April 18, 2019; Volume 3 Issue 5: 126-131. SG Huseynova, SS Imamverdiyeva, EE Mustafayeva, MY Мammadova and KN Yusifova. Published: April 18, 2019; Volume 3 Issue 5: 119-125. Published: April 16, 2019; Volume 3 Issue 5: 104-118. TV Chkhikvadze, VV Bekreev and EM Roshchin. Published: April 13, 2019; Volume 3 Issue 5: 96-103. Mazen Almehmadi and Alaa Shafie. Published: April 12, 2019; Volume 3 Issue 5: 90-95. Gómez-Quintero T, Arroyo-Ornelas MA, López-Marín LM, Castaño-Meneses VM, Garcia-Contreras R, Acosta- Torres LS, Arenas-Arrocena MC. Published: April 12, 2019; Volume 3 Issue 5: 81-89. Published: April 10, 2019; Volume 3 Issue 5: 79-80. Amita Aditya and Shruti Patil. Published: April 10, 2019; Volume 3 Issue 5: 76-78. Published: April 10, 2019; Volume 3 Issue 5: 69-75. Narotam Sharma, Vishal Kumar Deb, Smriti Bhardwaj, Plaban Das, Parmeet Kaur, Usha Verma and Vijay Kumar. Published: April 10, 2019; Volume 3 Issue 5: 63-68. Ousman Bajinka and Modou Badjan. Published: April 10, 2019; Volume 3 Issue 5: 52-62. Chernov SS and Spirina GA. Published: April 10, 2019; Volume 3 Issue 5: 49-51. Published: April 08, 2019; Volume 3 Issue 5: 42-48. Evgeniy Bryndin and Irina Bryndina. Published: April 05, 2019; Volume 3 Issue 5: 35-41. Ali Dagwo Alice, Tor-anyiin TA, Eneji IS, Afolabi Ezekiel Olabisi and Agwom Francis Maji. Published: April 05, 2019; Volume 3 Issue 5: 30-34. Gyesi Razak Issahaku, Kofi Mensah Nyarko, Jacob Yakubu Mahama, Samuel Oko Sackey and Edwin Andrew Afari, Ameme Kofi Donne, Ernest Kenu. Published: April 05, 2019; Volume 3 Issue 5: 24-29. Published: April 03, 2019; Volume 3 Issue 5: 21-23. Published: April 03, 2019; Volume 3 Issue 5: 18-20. Published: April 03, 2019; Volume 3 Issue 5: 13-17. Irina P Balmasova, Viktor N Tsarev, Sergey D Arutyunov, Elmar A Babayev and Аlexandr G Gabibov. Published: April 02, 2019; Volume 3 Issue 5: 06-12. Bello A, Shehu SA, Sonfada ML, Baraya YS, Suleiman HM, Umar AA, Danmaigoro A and Liman YM. Published: April 02, 2019; Volume 3 Issue 5: 02-05. Sukhpreet Singh, Sheemona Chowdhary and Dibyajyoti Banerjee. Published: March 27, 2019; Volume 3 Issue 4: 142-147. Published: February 26, 2019; Volume 3 Issue 3: 151-156. 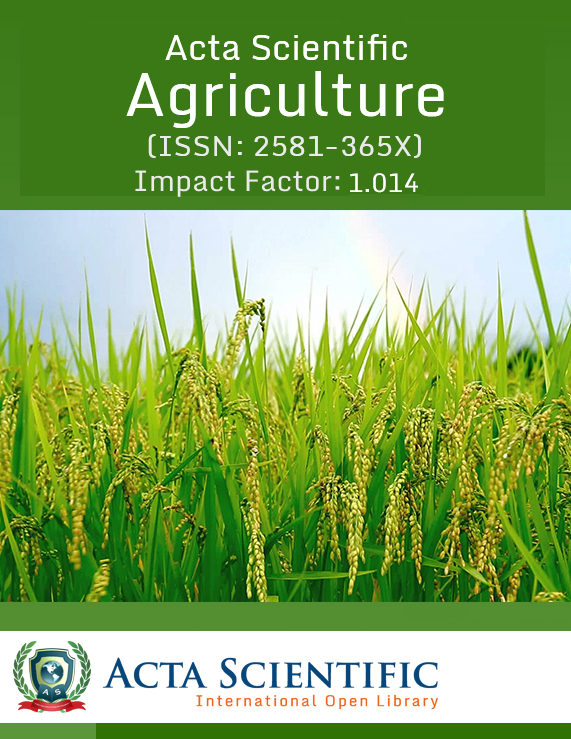 Published: February 26, 2019; Volume 3 Issue 3: 149-150. Published: February 23, 2019; Volume 3 Issue 3: 146-148. Published: February 23, 2019; Volume 3 Issue 3: 138-145. E Akowuah and K Nsiah. 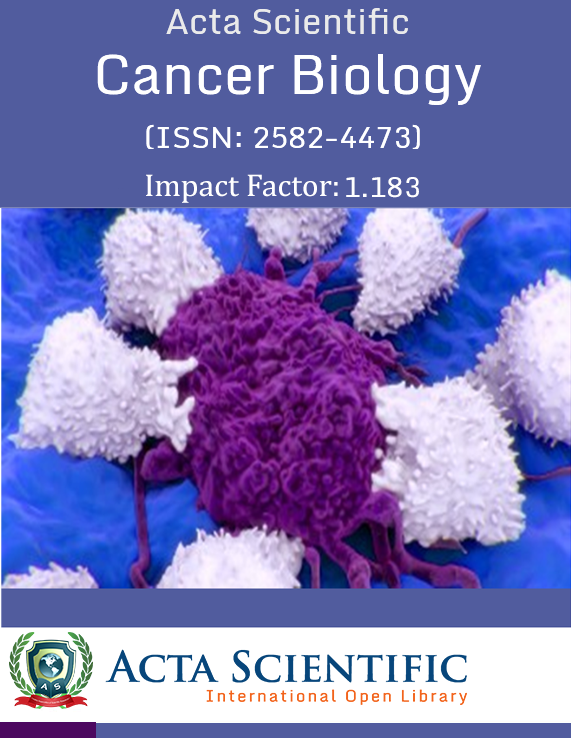 Published: February 20, 2019; Volume 3 Issue 3: 132-137. 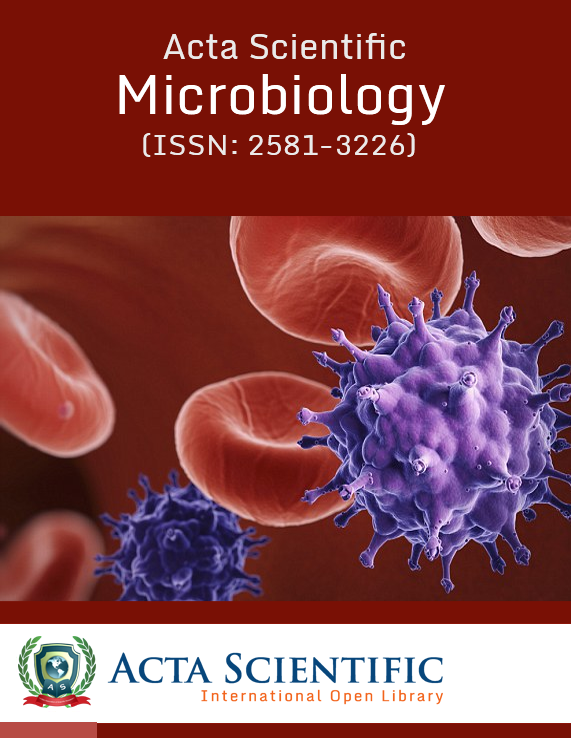 Published: February 20, 2019; Volume 3 Issue 3: 116-128. 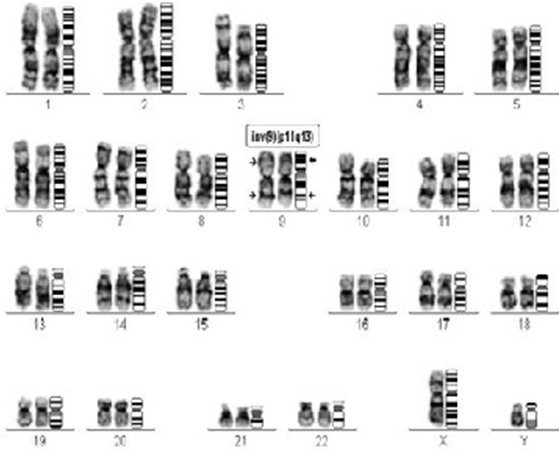 Published: February 20, 2019; Volume 3 Issue 3: 113-115. Deepak Kumar and Dibyajyoti Banerjee. Published: February 18, 2019; Volume 3 Issue 3: 112. Shuichiro Yamamoto, Nada Ibrahem Olayan and Shuji Morisaki. Published: February 18, 2019; Volume 3 Issue 3: 105-111. Published: February 21, 2019; Volume 3 Issue 3: 99-104. Debnath SK and Faruquzzaman GM. Published: February 15, 2019; Volume 3 Issue 3: 91-98. Published: February 15, 2019; Volume 3 Issue 3: 84-90. Amrit Kaur, Mala Bhalla, Monika Kucheria and Ranjeev Bhagat. Published: February 15, 2019; Volume 3 Issue 3: 81-83. Published: February 14, 2019; Volume 3 Issue 3: 77-80. Published: February 14, 2019; Volume 3 Issue 3: 70-76. Suvadeep Sen, Bharat Agarwal and Tushar Parmar. Published: February 14, 2019; Volume 3 Issue 3: 67-69. Published: February 12, 2019; Volume 3 Issue 3: 64-66. Sadykova GA, Rakhmatullaev HU, Zalyalova ZS and Niyazaliyeva MY. Published: February 12, 2019; Volume 3 Issue 3: 60-63. Claudete Ginga Samutondo, Rosa Moreira, João Pires and Júlio Leite. Published: February 12, 2019; Volume 3 Issue 3: 46-59. Salleh Noraini, Siti Norazah Said, Abdullah nurlaily, Nooriah Salleh, Nor Aripin Shamaan, Khairun NB Nor Aripin and Nor Azila Noh. Published: February 08, 2019; Volume 3 Issue 3: 36-45. Fabiano Svolacchia and Lorenzo Svolacchia Student. Published: February 08, 2019; Volume 3 Issue 3: 30-35. Published: February 05, 2019; Volume 3 Issue 3: 16-29. Published: February 04, 2019; Volume 3 Issue 3: 03-15. Dhritiman Banerjee and Dibyajyoti Banerjee. Published: January 31, 2019; Volume 3 Issue 3: 01-02. Sanjoy Chowdhury, Sneha, Priti and Naveen. Published: January 30, 2019; Volume 3 Issue 2: 120-123. Yahya Khamis Almualm, Nawal Saeed Banafa, Abdulla Saeed Al-Hanshi and Muneer Mohammed Ba-Abbad. Published: January 30, 2019; Volume 3 Issue 2: 113-119. Ahmadov EI, Hasanova JV, Mammadova FZ, Samadova SO and Topchiyeva Sh A. Published: January 29, 2019; Volume 3 Issue 2:110-112. Published: January 29, 2019; Volume 3 Issue 2: 106-109. Published: January 24, 2019; Volume 3 Issue 2: 105. Published: January 24, 2019; Volume 3 Issue 2: 103-104. Ahmed Adel Zayed, Yasser Mostafa Hafez, Safinaz Elsaeed Shalby and Waell Farag Mohammed. Published: January 24, 2019; Volume 3 Issue 2: 96-102. Published: January 22, 2019; Volume 3 Issue 2: 93-95. Alaa Hassan Oraby and Mohammed Hamdy Zahran. Published: January 22, 2019; Volume 3 Issue 2: 84-92. Published: January 22, 2019; Volume 3 Issue 2: 82-83. Published: January 21, 2019; Volume 3 Issue 2: 71-81. Robert B Diller and Robert S Kellar. Published: January 21, 2019; Volume 3 Issue 2: 63-70. Published: January 21, 2019; Volume 3 Issue 2: 56-62. Published: January 19, 2019; Volume 3 Issue 2: 47-55. Mohamed H Zahran, Hebatallah Hassan and Eslam Gaber. Published: January 17, 2019; Volume 3 Issue 2: 39-46. Bello A, Shehu SA, Siraj K, Baraya YS, Garba S and Abdullahi AU. Published: January 17, 2019; Volume 3 Issue 2: 33-38. Published: January 17, 2019; Volume 3 Issue 2: 30-32. Joel Isaias Osorio Garcia, Sergei Paylian and Ale Ismael Gonzalez Cazares. Published: January 08, 2019; Volume 3 Issue 2: 27-29. Surviving Sepsis Campaign: Are they Creating more Solutions or Controversies? Salim Surani and Iqbal Ratnani. Published: January 07, 2019; Volume 3 Issue 2: 25-26. Mesli Fouzia, Belkaid Bouchera and Ghalem Saïd. Published: January 07, 2019; Volume 3 Issue 2: 17-24. Published: January 04, 2019; Volume 3 Issue 2: 14-16. Deepak Dhamnetiya and K Arunraj. Published: January 04, 2019; Volume 3 Issue 2: 09-13. Published: January 03, 2019; Volume 3 Issue 2: 02-08. Sumanpreet Kaur and Dibyajyoti Banerjee. Published: December 31, 2018; Volume 3 Issue 2: 01. Published: December 27, 2018; Volume 3 Issue 1: 93-97. Published: December 27, 2018; Volume 3 Issue 1: 88-92. Published: December 24, 2018; Volume 3 Issue 1: 78-87. Is it Ethical Today to Discuss Savings in the Treatment of Acute Pneumonia? Published: December 21, 2018; Volume 3 Issue 1: 75-77. S Rajkumar Immanuel and P Anusha. Published: December 21, 2018; Volume 3 Issue 1: 70-74. Lokesh Rana, Dinesh Sood, Narvir Chauhan, Pooja Gurnal and Manjuswamy HR. Published: December 18, 2018; Volume 3 Issue 1: 68-69. Published: December 17, 2018; Volume 3 Issue 1: 66-67. Chandrashekar R and Mohandas Rai. Published: December 14, 2018; Volume 3 Issue 1: 60-65. Ossei PPS, Ayibor WG, Agagli BM, Taylor J, Fenteng EA and Agyemang-Duah E.
Published: December 13, 2018; Volume 3 Issue 1: 54-59. Roshan Ghimire, Subash Sapkota, Kiran Bhandari and Nirajan Bhattarai. Published: December 06, 2018; Volume 3 Issue 1: 47-53. Olusola H Ajayi and Ahmadu Isiyaku. Published: December 06, 2018; Volume 3 Issue 1: 38-46. Published: December 05, 2018; Volume 3 Issue 1: 26-37. I Sefic Pasic, A Dzananovic, M Bukvic, E Milisic, A Jonuzi, N Popovic, Admir Terzic, A Chikha and S Vegar Zubovic. Published: December 03, 2018; Volume 3 Issue 1: 16-19. AI Malakhov, AN Tikhomirov, SI Shchukin, VY Kaplunova, NV Kozlova and NY Markova. Published: December 03, 2018; Volume 3 Issue 1: 11-15. Manas Kumar Nath and Pinaki Chakravarty. Published: December 03, 2018; Volume 3 Issue 1: 03-10. Sukhpreet Singh and Dibyajyoti Banerjee. Published: November 30, 2018; Volume 3 Issue 1: 01-02. Pamplona AMM, Lopes KM, Meyer PF and Santos-Filho SD. Published: November 23, 2018; Volume 2 Issue 9: 109-119. Published: November 22, 2018; Volume 2 Issue 9: 107-108. Published: November 22, 2018; Volume 2 Issue 9: 105-106. Mukul Dev, Shitanshu Kaundal, Narotam Sharma, Satish Chandra Nautiyal, Bhageshwari Mahato, Preeti, Manish Dev Sharma and Gulshan Kumar Dhingra. Published: November 19, 2018; Volume 2 Issue 9: 97-104. Marijuana, THC, CBD – Do you Know the Facts? Published: November 16, 2018; Volume 2 Issue 9: 94-96. Awaad MHH, MA Elmenawey, MM Bashandy, FF Mohamed, HM Salem, EA Morsy and T Gossens. Published: November 16, 2018; Volume 2 Issue 9: 84-93. Andrey Belousov and Ekateryna Belousova. Published: November 15, 2018; Volume 2 Issue 9: 77-83. Published: November 14, 2018; Volume 2 Issue 9: 76. Published: November 14, 2018; Volume 2 Issue 9: 71-75. Published: November 14, 2018; Volume 2 Issue 9: 66-70. DSNBK Prasanth, A Lakshmana Rao, J Sai Sowmya and G Ooha Deepika. Published: November 14, 2018; Volume 2 Issue 9: 60-65. Makarov Anatoly, Pisarenko Elena and Bagdasaryan Serj. Published: November 13, 2018; Volume 2 Issue 9: 54-59. Nina Jovanovic, Admira Dizdarevic, Nedzad Dizdarevic, Aida Pidro, Patricia Reisz-Majic and Faruk Nisic. Published: November 13, 2018; Volume 2 Issue 9: 49-53. Pushpangadan P, George V, Ijinu TP and Chithra MA. Published: November 13, 2018; Volume 2 Issue 9: 43-48. Vladimir Zaichick and Sofia Zaichick. Published: November 09, 2018; Volume 2 Issue 9: 23-37. Karl Ehret, Matthias Heinke and Johannes Hoerth. Published: November 08, 2018; Volume 2 Issue 9: 19-22. Hacı Omer Yilmaz and Mahir Arslan. Published: November 05, 2018; Volume 2 Issue 9: 15-18. Avinash Mali and Prashant Giri. Published: November 02, 2018; Volume 2 Issue 9: 10-14. Odekunle Bola Odegbemi, Raphael U Erhunmwunse and Anthonia O Odegbemi. Published: November 02, 2018; Volume 2 Issue 9: 04-09. Vitamin C: A Possible Role in Hemorrhagic Shock? Edgar Jauregui-Maldonado, Joseph Varon and Salim Surani. Published: November 01, 2018; Volume 2 Issue 9: 01-03. Published: October 31, 2018; Volume 2 Issue 8: 105-107. Published: October 30, 2018; Volume 2 Issue 8: 101-104. Siddhartha Dutta, Shalini Chawla and Sudeshna Banerjee. Published: October 30, 2018; Volume 2 Issue 8: 98-100. Carlos Del Risco, Raul Romay, Yanor Aguero and Ariel Hernandez. Published: October 26, 2018; Volume 2 Issue 8: 95-97. Published: October 25, 2018; Volume 2 Issue 8: 93-94. Published: October 24, 2018; Volume 2 Issue 8: 89. Taihua Wang, Yanzhong Xue, Xiuxiu Li, Shouliang Pang, Yuguo Wang, Jinguo Yao, Jianfeng Zhou and Peilai Hao. Published: October 24, 2018; Volume 2 Issue 8: 85-88. Sirisha L Vavilala, Ashwati Nair, Prasad Kalamkar and Jacinta S D’Souza. Published: October 23, 2018; Volume 2 Issue 8: 76-81. Published: October 23, 2018; Volume 2 Issue 8: 70-75. Subhanil Chakraborty and Ranadhir Chakraborty. Published: October 22, 2018; Volume 2 Issue 8: 63-69. Sheikh Mohd Saleem and Auqfeen Nisar. Published: October 17, 2018; Volume 2 Issue 8: 55-56. Why does Acute Pneumonia Remain a Medical Problem in the 21st Century? Published: October 17, 2018; Volume 2 Issue 8: 51-54. Qing Xue, Lingchen Zho*, Jia Hao and Minxia Liu. Published: October 17, 2018; Volume 2 Issue 8: 42-50. Eric Asare Fenteng, Tracy Narh-Bedu, Emmanuel Osei Mensah, Eric Agyemang-Duah and William Gilbert Ayibor. Published: October 17, 2018; Volume 2 Issue 8: 34-41. Arnav Shandil and Nikita Verma. Published: October 15, 2018; Volume 2 Issue 8: 31-33. Sheikh Mohammad Fazle Akbar and Mamun Al Mahtab. Published: October 12, 2018; Volume 2 Issue 8: 27-30. Published: October 10, 2018; Volume 2 Issue 8: 25-26. Isil Bavunogl, Zeynep Turkmen, Istemi Serin, Merve Kuloglu, Tugba Tekin, Selda Mercan and Munevver Acikkol. Published: October 10, 2018; Volume 2 Issue 8: 19-24. Pranjali Dhebar, Bansari Patel and Freny Bilimoria. Published: October 10, 2018; Volume 2 Issue 8: 14-18. Published: October 08, 2018; Volume 2 Issue 8: 08-13. Mayara Tania Pinheiro, Flavia de Oliveira Pantoja, Nubia Priscilla Leite Távora, Roberto Messias Bezerra, Clarissa Silva Lima, Elza Caroline Alves Muller, Glauber Vilhena da Costa and Alex Bruno Lobato Rodrigues. Published: October 05, 2018; Volume 2 Issue 8: 03-07. Published: September 01, 2018; Volume 2 Issue 8: 01-02. Published: September 28, 2018; Volume 2 Issue 7: 111. Published: September 28, 2018; Volume 2 Issue 7: 110. Published: September 28, 2018; Volume 2 Issue 7: 109. Published: September 27, 2018; Volume 2 Issue 7: 103-108. Maher Aljamal, Mohammad Abul-Haj and Ibrahim Kayali. Published: September 27, 2018; Volume 2 Issue 7: 96-102. Yahya Khamis Almualm, Nawal Saeed Banafa and Abdulla Saeed Al-Hanshi. Published: September 27, 2018; Volume 2 Issue 7: 87-95. Eliana Migliorini Mustafa, Victor Rodrigues Ribeiro Ferreira, Maria Christiane Valéria Braga Braile-Sternieri, Sofia Braile Sabino, Giovanni Braile Sternieri, Lúcia Angélica Buffulin de Faria, Bethina Canaroli Sbardellini, Cibele Olegário Vianna Queiroz, Domingo Marcolino Braile and Idiberto José Zotarelli Filho. Published: September 25, 2018; Volume 2 Issue 7: 82-86. Vitorino Modesto dos Santos and Lister Arruda Modesto dos Santos. Published: September 20, 2018; Volume 2 Issue 7: 79-81. Wang Zhi and Zheng Yang-Shuo. Published: September 20, 2018; Volume 2 Issue 7: 64-78. Jiwan Kumar Kafle, Bhavishya Bhardwaj, Ramanpreet Kaur, Deepak Kumar, Dibyajyoti Banerjee. Published: September 18, 2018; Volume 2 Issue 7: 59-63. Nathan Ukuoghene Ikimi, Brenda Ighoteguono Mohammed, Ayegba Ebikwo, Nasir Mukaffa. Published: September 18, 2018; Volume 2 Issue 7: 54-58. Published: September 14, 2018; Volume 2 Issue 7: 51-53. Bishoi Aziz and Andrew L Mason. Published: September 14, 2018; Volume 2 Issue 7: 45-50. Published: September 12, 2018; Volume 2 Issue 7: 44. TM Reddy and MS Sridhar. Published: September 12, 2018; Volume 2 Issue 7: 38-43. Neha Sethi, Shilpi Agarwal, Akanksha Jain and Anamika. Published: September 11, 2018; Volume 2 Issue 7: 30-33. Published: September 10, 2018; Volume 2 Issue 7: 27-29. Published: September 10, 2018; Volume 2 Issue 7: 18-26. Sara Paiva, Diogo Brito and Lionel Leiva-Marcon. Published: September 10, 2018; Volume 2 Issue 7: 02-17. Published: September 01, 2018; Volume 2 Issue 7: 01. Published: August 31, 2018; Volume 2 Issue 6: 66-73. Yoshimasa Masuda and Shuichiro Yamamoto. Published: August 30, 2018; Volume 2 Issue 6: 57-65. Published: August 30, 2018; Volume 2 Issue 6: 50. Published: August 30, 2018; Volume 2 Issue 6: 48-49. Eric Agyeman-Duah, Paul Poku Sampene Ossei, John Taylor, Enoch Baah, Eric Asare Fenteng and William Ayibor. Published: August 30, 2018; Volume 2 Issue 6: 42-47. Emma Bagnato, Davide Mauro and Silvana Bagnato. Published: August 28, 2018; Volume 2 Issue 6: 36-41. Published: August 23, 2018; Volume 2 Issue 6: 33-35. Arvind Meena, Deepak Kumar, Rajasri Bhattacharyya and Dibyajyoti Banerjee. Published: August 21, 2018; Volume 2 Issue 6: 31-32. Published: August 14, 2018; Volume 2 Issue 6: 19-30. Published: August 10, 2018; Volume 2 Issue 6: 17-18. Susmita Shrestha and Rosy Shrestha. Published: August 07, 2018; Volume 2 Issue 6: 10-16. Hacı Omer Yilmaz and Nurcan Yabanci Ayhan. Published: August 03, 2018; Volume 2 Issue 6: 03-09. Published: August 01, 2018; Volume 2 Issue 6: 01-02. Ozgur Karcioglu and Banu Arslan. Published: July 31, 2018; Volume 2 Issue 5: 19-22. Published: July 25, 2018; Volume 2 Issue 5: 17-18. Benefits and Challenges of the Affordable Care Act: What should be the Future of the ACA in 2018? Patricia Y Talbert, LaJuan F Martin, Marquise Frazier and Damien Byas. Published: July 20, 2018; Volume 2 Issue 5: 04-08. Maha Mohammad Bindahman, Nawal Saeed Banafa and Fahmi Omer Aram. Published: July 10, 2018; Volume 2 Issue 5: 04-08. Published: July 09, 2018; Volume 2 Issue 5: 03. Sheemona Chowdhary and Dibyajyoti Banerjee. Published: July 01, 2018; Volume 2 Issue 5: 01-02. Published: June 22, 2018; Volume 2 Issue 4: 57. Published: June 21, 2018; Volume 2 Issue 4: 55-56. Almottesembellah Gaiz and Sapha Mosawy. Published: June 20, 2018; Volume 2 Issue 4: 50-54. Published: June 20, 2018; Volume 2 Issue 4: 39-49. Published: June 18, 2018; Volume 2 Issue 4: 38. Published: June 18, 2018; Volume 2 Issue 4: 35-37. Published: June 13, 2018; Volume 2 Issue 4: 32-34. Published: June 13, 2018; Volume 2 Issue 4: 27-31. Pascalina Chanda-Kapata, Mwiche Siame, Doris Osei-Afriyie, Clementina Lwatula, Patrick Katemangwe, Chabwera Shumba, Kennedy Malama, Peter Mwaba, Ali Zumla, Nathan Kapata. Published: June 09, 2018; Volume 2 Issue 4: 22-26. Deepali sharma, Aanchal Arora, Y.C Porwal. Published: June 08, 2018; Volume 2 Issue 4: 20-21. Published: June 08, 2018; Volume 2 Issue 4: 15-19. Lokesh Rana, Dinesh Sood, Roshni Shukla and Pooja Gurnal. Published: June 07, 2018; Volume 2 Issue 4: 13-14. Published: June 05, 2018; Volume 2 Issue 4: 07-12. Published: June 05, 2018; Volume 2 Issue 4: 03-06. Published: June 01, 2018; Volume 2 Issue 4: 01-02. Published: May 30, 2018; Volume 2 Issue 3: 53-55. Published: May 29, 2018; Volume 2 Issue 3: 49-52. Sanjay Mohan Gupta, K Manikyaprabhu, Sanjai Kumar Dwivedi and Madhu Bala. Published: May 29, 2018; Volume 2 Issue 3: 44-48. How to Manage the Febrile Patient in the Emergency Setting: Is there Anything New? Ozgur Karcıoglu, Hakan Topacoglu and Semih Korkut. Published: May 26, 2018; Volume 2 Issue 3: 33-37. Kushal Bhattarai and Nilu Manandhar. Published: May 25, 2018; Volume 2 Issue 3: 26-32. Published: May 25, 2018; Volume 2 Issue 3: 24-25. Baki AS and Bello A. Published: May 24, 2018; Volume 2 Issue 3: 20-23. Published: May 23, 2018; Volume 2 Issue 3: 18-19. Robert Ricketts MD, Henry Huang MD, and Ashutosh Wali MD. Published: May 21, 2018; Volume 2 Issue 3: 14-17. VP Gupta and AH Shah. Published: May 11, 2018; Volume 2 Issue 3: 11-13. Teaching Professionalism and Ethics at Health Care Institutions: Why and How? Published: May 10, 2018; Volume 2 Issue 3: 10. Hospital Based Study of Vivax Malaria - How Benign is it? Sangita Kamath and Manish Kumar. Published: May 10, 2018; Volume 2 Issue 3: 02-09. Published: May 02, 2018; Volume 2 Issue 3: 01. Jaya Bhaskar Reddy S, Akina Prakash, Mukesh Agrawal, Banda Swetha Reddy and Rajkishor Sahu. Published: April 30, 2018; Volume 2 Issue 2: 50-51. Published: April 30, 2018; Volume 2 Issue 2: 48-49. Cecilia Young and TH Tai. Published: April 30, 2018; Volume 2 Issue 2: 45-47. Published: April 30, 2018; Volume 2 Issue 2: 44. Abdalla Saad Abdalla Al-Zawi, Anita Lazarevska, Philip Idaewor, Amira Asaad, Patrick Herdzik, Emraga Abohamod and Turhan Comez. Published: April 30, 2018; Volume 2 Issue 2: 39-43. Aanchal Arora, Manasa Mudalagiri, Bhavna Kaul and YC Porwal. Published: April 25, 2018; Volume 2 Issue 2: 37-38. Ravi Prakash SM, Vivek Kumar Sidhu, Neha Aggarwal and Vidisha Gargi. Published: April 25, 2018; Volume 2 Issue 2: 32-36. Vitorino Modesto dos Santos, Leonardo Abreu Soares Ferreira, Kamila Fernandes Ferreira. Published: April 20, 2018; Volume 2 Issue 2: 29-31. Elena Gil de la Cruz, Amelia Sanz-Fernández, Pablo Nenclares-Peña and Fernano Lozano-Morillo. Published: April 19, 2018; Volume 2 Issue 2: 27-28. Bhaskaran Sathyapriya, Purushothaman Lakshmanan, Govindarajan Sumathy, Jinu Merlin Koshy, Balasubramanian Chandrakala and Elayaperumal Gokulalakshmi. Published: April 17, 2018; Volume 2 Issue 2: 21-26. Published: April 16, 2018; Volume 2 Issue 2: 16-20. Alfonso Lagi and Simone Cencetti. Published: April 14, 2018; Volume 2 Issue 2: 12-15. Published: April 10, 2018; Volume 2 Issue 2: 08-11. Roshan Kumar Mehta, K Supriya, Janardan Chaudhary, VP Rasal and Raj Kumar Mehta. Published: April 04, 2018; Volume 2 Issue 2: 03-07. Published: April 02, 2018; Volume 2 Issue 2: 01-02. Published: March 29, 2018; Volume 2 Issue 1: 30-32. Muhammad Tukur Umar, Bello Shaibu Oricha and Abubakar Ridwanu Zauro . Published: March 28, 2018; Volume 2 Issue 1: 26-29. Palanisamy Sankar and Ramya Kalaivanan. Published: March 27, 2018; Volume 2 Issue 1: 24-25. Published: March 27, 2018; Volume 2 Issue 1: 17-23. Thekkuttuparambil Ananthanarayanan Ajith and Chirattapurakkal Raman Raghunath. Published: March 23, 2018; Volume 2 Issue 1: 11-14. Darpan Bhargava, Shaji Thomas, Swapnil Moghe, Pankaj Pathak, Sivakumar Beena and Preeti Gurjar. Published: March 21, 2018; Volume 2 Issue 1: 07-10. Mohamed Azmi Hassali, Yasmeen Alrawhi and Ahmed Nouri. Published: March 21, 2018; Volume 2 Issue 1: 02-06. Published: January 25, 2018; Volume 2 Issue 1: 01. Eze Chukwuka W, Nweze Emeka I and Ikekpeazu Ebere. Published: July 18, 2017; Volume 1 Issue 2: 29-31. Published: July 15, 2017; Volume 1 Issue 2: 24-28. Amrish Saxena, Ram Nandan Prasad and Shrikant V Meshram. Published: July 13, 2017; Volume 1 Issue 2: 19-23. Sanjoy Chowdhury, Sneha Kumari and Priyanka. Published: July 12, 2017; Volume 1 Issue 2: 15-18. Rakul Nambiar, Jayakumar Chinnathambi and Anjali S.
Published: July 10, 2017; Volume 1 Issue 2: 13-14. Zohreh Salehi, Leila Kohan and Majid Yavarian. Published: July 06, 2017; Volume 1 Issue 2: 08-12. Vidisha Gargi, Ravi Prakash SM, Sangeeta Malik and Swati Gupta. Published: July 03, 2017; Volume 1 Issue 2: 05-07. Published: July 01, 2017; Volume 1 Issue 2: 01-04. HD Pai, Nandita Palshetkar, Deepa Talreja, Rishima Pai, Rohan Palshetkar, Pritimala Gangurde, Swati Sharma, Arnav Pai, Vrunda Kuchekar and Rushika Mistry. Published: June 24, 2017; Volume 1 Issue 1: 38-40. Nawal Saeed Banafa, Abdulla Saeed Al-Hanshi, Yahyakhamis Almualm and Mona Omer Alkathiri. Published: June 22, 2017; Volume 1 Issue 1: 32-37. Zehra Pınar Koç, Oktay Burma, Ayhan Uysal, Hüseyin Aydın Mitil, Osman Akdeniz, Mehmet Ruhi Onur and Pelin Özcan Kara. Published: June 19, 2017; Volume 1 Issue 1: 28-31. Sumita Pradhan, Rudra Dahal, Suman Phuyal, Bikal Ghimire and YP Singh. Published: June 17, 2017; Volume 1 Issue 1: 25-27. A Case Report on Choroidal Metastases from Adenocarcinoma of Lung – Tip of the Iceberg! Sangita D Kamath, Jakka Sridevi, Vijaya Jojo and B S Rao. Published: June 16, 2017; Volume 1 Issue 1: 19-24. Pelin Ozcan Kara, Serdar Sedat Isik, Gonca Kara Gedik and Mustafa Cayci. 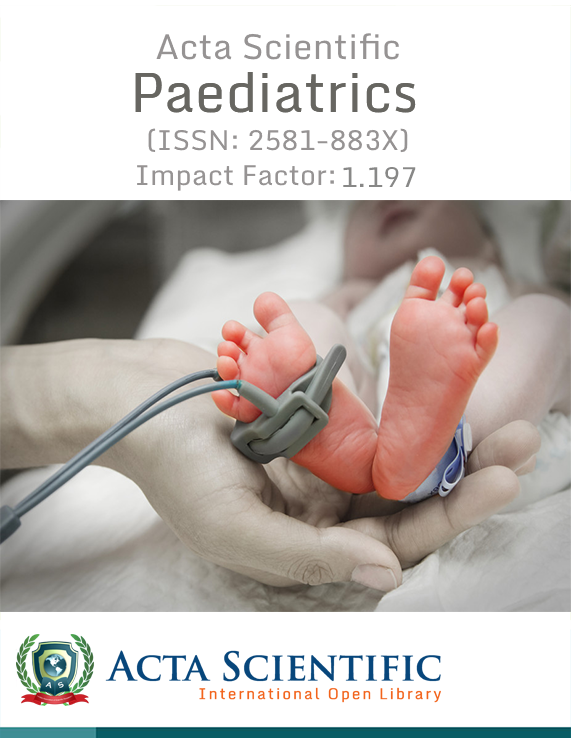 Published: June 12 2017; Volume 1 Issue 1: 16-18. Anirban Mandal and Puneet Kaur Sahi. Published: June 10, 2017; Volume 1 Issue 1: 14-15. Early Exposure of Health Care Students to Clinical Research: A Trend to Look Forward to! Published: June 07, 2017; Volume 1 Issue 1: 12-13. Salil N Vaniawala and Pankaj K Gadhia. Published: June 05, 2017; Volume 1 Issue 1: 10-11.